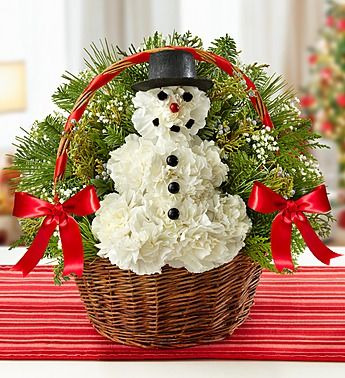 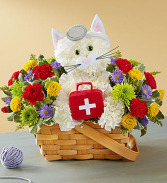 1-800-Flowers EXCLUSIVE Surprise a pet lover in your life with our truly original arrangement. 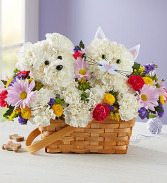 An adorable cat and dog duo are expertly crafted with white carnations, surrounded by a mix of bright and cheery blooms. 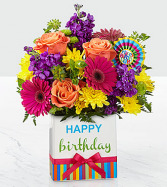 Set in a charming, handled basket, it’s a sweet gift for birthdays, to say “thanks” or just to make someone smile.